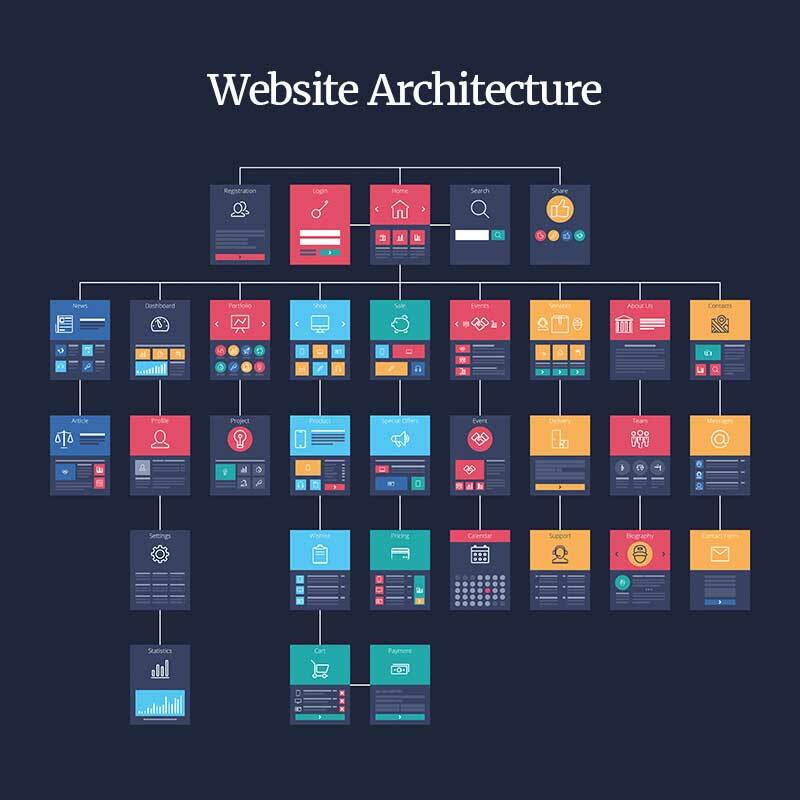 Every website will have at the very least a semblance of structure, but it’s telling just how few people put any thought into website structure either before or after they’ve built their website. And yet, site structure is one of the fundamental building blocks of an effective SEO strategy. Getting it right from the outset will allow your website to grow and develop in a way that is intuitive and understandable to the search engines crawling it. It’s therefore important to invest time into ensuring that this, your most important digital asset, has a carefully considered and search engine friendly architecture in order to maximise all your other onsite activity, as well as offsite SEO like link building. In this guide, I’m going to explore the science behind website architecture, what a good URL structure looks like and how this can all benefit your SEO in the years to come. The first thing to say about site structure is that it should be user-led as much as it is search engine led. Good structural decisions should always result in a more professional and seamless website that is easy to navigate and has a clear and obvious structure. You might think that this is an obvious statement, but you would be surprised just how many websites we see on a regular basis that overlook the importance of this simple principle of web design. Every successful website should allow users to locate the information they are looking for easily and efficiently, which is why placing every element exactly where your audience will expect to find it is crucial. For large websites with hundreds or thousands of pages, this means understanding how to group similar pages together by theme into what is often called, silos (more of that in a bit). Google’s web crawlers (sometimes known as spiders) are tasked with the job of indexing all web content with the ultimate goal of returning it in search results for relevant enquiries. In addition to being more appealing for humans, this logical structuring of information will help Google, organise and understand your website. The easier they can do this, the more relevant your website becomes for certain search terms improving your rankings across a variety of keyword groups. Help every new visitor understand the information your site contains easily and quickly. Ensure that your visitors can move around easily and efficiently with intuitive navigation. Not be overly optimised for search engines to the detriment of user experience. Well-structured websites will typically have a low bounce rate, a solid dwell time (visitor time on site), a good click-through rate (CTR), and be a resource with which audiences actively want to spend time engaging. An intuitive interface is a non-negotiable feature of every great website and this all begins with the correct site structure. Search engines always look for relevancy when organising results pages for user queries and as most websites contain an array of pages that might not always have a clear theme, practising effective siloing will help to clarify relevance and drive overall rankings in the longer term. Siloing is a term that is used to refer to the concept of organising connected pieces of information into distinct groupings. Many excellent websites fail to maximise their impact in the search engine results (SERPs) because they just haven’t factored subject relevance into their SEO strategy. Siloing is a way of thinking about the content that exists on your website and how it can be arranged logically by theme or topic. The theme or topic will generally relate to your desired target keywords. It’s far from a new theory, being proposed by the likes of Bruce Clay many years ago, it’s become even more relevant and not less through recent Google updates over the last few years as they tweak the algorithm to improve relevance and authority. Strong keyword research that develops themes and topics in keyword groups. Careful hierarchical-focused content organisation and planning based upon target keywords. Effective structure reinforcement via solid menus, internal linking and URL structure (more on the latter in a bit). Informative and educational content that exists outside of your blog. Although comprehensive siloing is an undeniably complex process, it does force you into thinking about your website from a content and search oriented point of view. With so many businesses focused on making their website all about sales, this approach can engender more constructive and useful ways of thinking about content. Implement your silo within your website’s menu structure wherever possible. This is easier to do on CMS’s like WordPress but harder to do on less flexible systems like Shopify. Scrutinise your link structure and apply considered link techniques between relevant pages that build bridges between connected areas and references, strengthening the overall relevance of your respective silos. Focus on publishing relevant, high-quality long-form content (1000 words plus) that target keyword phrases within your topics. Look to optimise, bulk out and build up any existing pages that may be light in content or lack weight. Look to lose or merge any pages that have content that is extremely similar to other pages on your site. The process of siloing will also help you to avoid the temptation to integrate all of your important cornerstone content into your website via your blog. Cornerstone content is the content you want to maximise visibility for, such as that targeting your core market which naturally sits at the top of your sales funnel (in the research phase). Although undoubtedly an important element of your SEO strategy it’s important not to put everything in your blog. Creating a separate evergreen guide outside of your blog folder hierarchy is an extremely effective strategy, as these guides can become dominant heavyweight pieces. Updating this content regularly and building lots of internal (and external) links will further help to galvanise their importance in the eyes of Google’s crawlers. From a UX perspective as well, cornerstone content that sits outside of your blog should be easily accessible in your main navigation menu making it more discoverable. It also won’t sink down the page in the way blog posts do when new blog posts are published. It can be daunting to build or redesign a website from the ground up, but the good news is that this puts you in the best possible place to map out your site structure with SEO in mind. So, whether you work through your structure in a spreadsheet format or approach it with an old school whiteboard and marker, investing time here will always pay dividends in the long run. It’s important to think of your hierarchy as a way to organise all the information you want to display on your site. Since this will also inform your site navigation and URL structure, getting this aspect right is vital. Importantly as well, this methodology will force you to think about the kind of content you want to create in the medium to long term, as well as the immediate future. The last thing you want to do is over complicate your hierarchy. Aim for simplicity and ensure that every decision you make is designed to deliver a seamless experience for both your visitors and search engine web crawlers. Too many categories can very quickly feel overwhelming, so if you have more than seven categories it might be worth rethinking your organisational plan. Naturally, categories will correspond to your product or service offering, but if this is too diffuse, try to come at it from a different angle. Aiming for balance is never a bad thing, so if one of your categories has two subcategories and another has more than double that, your site might quickly begin to look and feel unbalanced. Your site’s navigation structure will naturally follow the hierarchy you have established. It’s important to ensure that each page, particularly the most important ones, are never nested too deeply within your site. 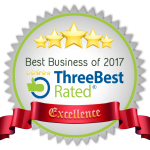 Remember, the best performing websites are those in which every page is reachable within three or fewer clicks. With your hierarchy in place, your next task will be to establish a complementary keyword-rich URL structure. This will help you to secure better ranking positions for individual pages and help your users to navigate around your site and through your content with ease. URL architecture can be time-intensive to correct if you haven’t planned ahead because you risk running into the trap of seemingly infinite redirect loops that don’t work for anyone. Fundamentally, however, your URL structure should prioritise human readability; it must be keyword-rich and consistent, and it should be comprehensive enough to ensure that your site contains enough content to maximise your website’s search engine visibility for every relevant topic. Be user intuitive and help your users to navigate your site. Establish a strong and SEO friendly folder structure that is not overly complicated or too diffuse. Assist in the establishment of an information hierarchy for website navigation. Allow authority (sometimes known as ‘link juice’) to flow naturally to other pages in your silo. Each of these important elements is directly linked to a carefully designed and impeccably integrated site structure, but it’s crucial to remember that maintaining simplicity is key. Focus on ensuring that every page links to and has a link from another page because this will help you to communicate to search engines which pages are particularly important and how users can reach them efficiently. As with any SEO strategy, don’t overdo it but implementing relevant internal links across your whole site will deliver positive results. There is a great deal to take on-board in thinking about site structure and URL architecture, so here are a few questions that you might find it helpful to ask yourself as you embark on this step of your website optimisation journey. Is your content appropriately optimised for relevant target keywords? Have you presented your content logically? Are you effectively utilising content hubs and/or silos? Do your target keywords align with the way in which your users view the subjects? Have you planned for future scalability? Effective site structure is ultimately the product of intentional design, impeccable organisation and a great deal of careful planning. As with so many things in SEO, establishing a good site structure starts with a detailed onsite audit, that is best interpreted by an SEO expert. Although it might not necessarily have been at the top of your list in originally considering how to optimise your website for SEO, I hope this guide has gone some way to highlighting the importance of website structure in SEO and convinced you that directing attention to this aspect of web design and onsite SEO is essential to gaining a strong foothold in the SERPs.